Haïti is a country of the Greater Antilles, occupying the western third of the island of Hispaniola (about 27 750 km2). Approximately 10 million people live in Haiti, with a high density of 350 inhabitants per km2. 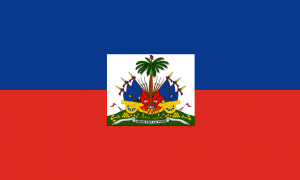 Haiti is the only independent French-speaking Caribbean country. The Republic of Haiti originated from the revolt of the slaves of Santo Domingo. In 1804 after Napoleon Bonaparte’s army was forced to abandon the island, it became the first independent republic with a majority black population. Haiti is a developing country with an emerging democracy. The country is trying to rebuild itself after the devastating 2010 earthquake that devastated one third of its territory. This is a challenge since Haiti has the lowest per capita GDP of an American continent.